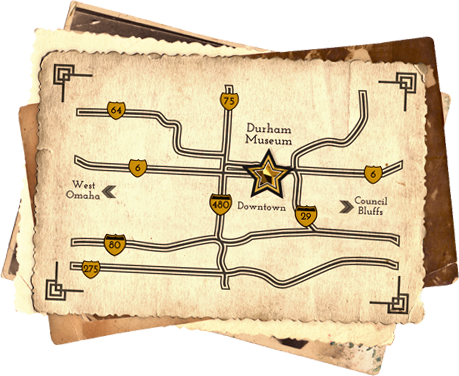 The Durham Museum’s annual Great Hall-oween Haunt will be held Tuesday, October 23, from 5-8PM. The community is invited to a trick-or-treat experience like no other! Grab a trick-or-treat bag in the Suzanne and Walter Scott Great Hall and head out to find historical characters stationed throughout the museum handing out yummy treats. Visit them in the One Room Schoolhouse, Buffett Grocery Store, Train Cars, Log Cabin and other areas. • The Swanson “Ghoulery” carnival is full of ghostly games including Boo Bowling, Spider Sling and Frankenstein Operation! • The Soda Fountain will serve up some frightfully delicious treats just for the occasion! • Plus… crafts, dancing and a costume conga line to end the night! The evening’s activities will culminate at 7:00PM in the Great Hall when UNO’s The Moving Company gathers to perform “Thriller.” Children can then participate in a costume conga line before a dance party of monster jams ensues! Regular museum admission applies. Event is free for museum members. The event is sponsored by Oriental Trading Company, the Baer Foundation, Mangelsen’s and KMTV3.